Over the past 24 years Jerry Melchiode has honed his legal skills enabling him to balance his clients’ economic concerns with proactive dispute resolution in the areas of construction, insurance, transportation, marine, product liability, professional liability, property, commercial litigation, and environmental/toxic tort liability. 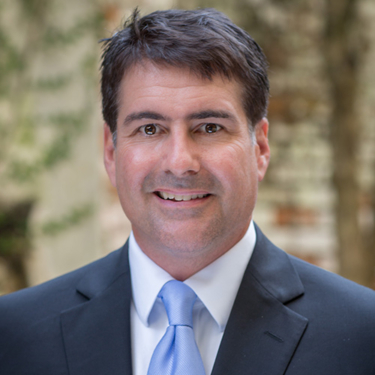 Jerry is licensed to practice in Louisiana and Texas, as well as the United States Court of Federal Claims. His diverse construction law experience includes representation of owners, contractors and design professionals in all aspects of construction, both public and private, from bidding, contract drafting, and delay claims to construction defect litigation. His experience includes complex issues involving roof failures, soil subsidence, foundation failures, plumbing and HVAC problems. His insurance experience goes beyond the construction arena and he represents standard and surplus lines insurers in a broad array of product lines. He handles both coverage and defense matters, and represents insurers in bad faith litigation. Prevailed on a public bid protest for a general contractor regarding a $4,500,000 university building project. Obtained a federal court jury verdict for a general contractor in a delay and products liability claim on a public highway ITS project against a supplier and subcontractor. Defeated a multi-million dollar subrogation claim against a roofing client in a complex AAA arbitration. Obtained a defense verdict in a premises liability jury trial in Baton Rouge state court. Successfully defended a general contractor against Hurricane Katrina levee failure class action. Clarified the law for the surplus lines insurance industry through two reported Louisiana state court decisions on notice and constructive delivery issues. Jerry was selected for inclusion in 2017 and 2018 Superlawyers, 2016 and 2017 Best Lawyers in America for Litigation and Construction. He was also selected for 2009, 2012 through 2017 “Top Lawyers” in New Orleans Magazine. Jerry is an AV-rated attorney with Martindale Hubbell. He is a member of the Federation of Defense and Corporate Counsel and has frequently lectured on insurance and construction issues. After receiving his Bachelor’s Degree in Economics from the University of Texas, Austin, Jerry obtained his Juris Doctorate from Southern Methodist University. Jerry is married and has three children, and has called New Orleans home for the last 25 years. Federation of Defense and Corporate Counsel Construction Law, Excess, Surplus Lines and Reinsurance Section. Williams v. Andrus, 2011-239 (La. App. 3 Cir. 10/5/11); 74 So.3d 818; assault and battery exclusion. Ryan v. State Farm Mut. Auto. Ins. Co., 2010-0961 (La.App. 1 Cir. 12/22/10); 68 So.3d 563; writ denied, (La. 4/1/11); worker’s compensation penalties/ high/low agreements. Piligra v. America’s Best Value Inn; 2010-254 (La.App. 3 Cir. 10/6/10); 49 So.3d 479, assault and battery exclusion, and the enforceability of unsigned endorsements. McNamara v. Augustino Bros., Inc., 2008-1522 (La.App. 4 Cir. 5/13/09); 13 So.3d 736; criminal acts exclusion. Everett v. Philibert, Bel Oak Builders, Inc., 2008-2270 (La.App. 1 Cir. 5/8/09); 13 So.3d 616; breach of contract exclusion. Encompass Ins. Co. v. Gammon Roofing, L.L.C., 2007-1554 (La.App. 4 Cir. 9/24/08); 996 So.2d 16; roofing exclusion. Ott v. LPK Systems, Inc., 2000-1815 (La. App. 4 Cir. 11/28/01); 812 So 2d 38); coverage, employer‘s liability exclusion. John v. Gourmet Pizzas, Inc., 2000-0749 (La. App. 4 Cir. 1/31/01); 778 So.2d 1223; coverage, delivery of the surplus lines policy. Essex Insurance Company v. Wallington, 1999 WL 212713 (E.D. La. 1999), affirmed on appeal; coverage, pollution exclusion. Orleans Parish School Board v. Scheyd, Inc., 95-2653 (La. App. 4 Cir. 4/24/96); 673 So.2d 274; construction, “work-product” exclusion. Ramos v. Tulane University of Louisiana, 2006-0487 (La. App. 4th Cir. 1/31/07); 951 So.2d 1267; summary judgment affirmed on exclusive remedy rule of worker’s compensation for statutory employee. Orleans Parish School Board v. Scheyd, Inc., 98-2989 (La. App. 4 Cir. 6/16/99); 737 So.2d 954; construction, public works, limitation of actions. Stanley Tools v. Madison Mills, Inc., 109 F. Supp. 2d 500 (E.D. La. 2000); affirmed on appeal; products liability, res judicata. Strahan v. Maytag Corp., 99-0869 (La. App. 4 Cir. 4/5/00); 760 So.2d 463; legal malpractice, limitation of actions. Labit v. Palms Casino & Truck Stop Inc., 2001-1552 (La. App. 4 Circ. 5/9/12); 91 So 3rd 540; premises liability, summary judgment on no legal duty. Smith v. French Market, 03-1412 (La. App. 4th Cir. 10/06/04); 886 So.2d 527, premises liability, landlord’s immunity. Kreher v. Bertucci, 2001-1132 (La. App. 4 Cir. 3/20/02); 814 So.2d 614; premises liability and coverage. Millet v. Imperial Fire and Cas. Co., 04-561 (La. App. 5 Cir. 10/26/2004); UM/UIM, coverage. McCarter v. Sandoz, 2003-0935 (La. App. 4 Cir. 4/28/04); 874 So.2d 918; UM/UIM. Gabriel v. Hobbs, 2001-1733 (La. App. 4 Cir. 12/19/01); 804 So.2d 853; auto liability, personal jurisdiction. Young v. E.D. Bullard Co., 97-657 (La. App. 5 Cir. 11/25/97); 703 So.2d 783; asbestos, employer’s liability. “Unusual Forms in the Surplus Lines Insurance Industry,” 58 FED’N DEF. & CORP.COUNS. Q. 61 (2007). “Delay Claims – Proof & Presentation”, Associated Builders & Contractors, New Orleans/Bayou Chapter, September 2012, New Orleans, Louisiana. “Jurisdictional Issues of the Foreign Manufacturer: Construction Defect/Chinese Drywall”, Federation of Defense and Corporate Counsel (“FDCC”), March 2011, Palm Springs, California. “Construction Contract Negotiations: Indemnity and Insurance Requirements,” presented to the Associated Builders and Contractors, January 2009, New Orleans, Louisiana. “Electronic Discovery; A Primer,” presented to CNA Insurance Companies, February 2009, Chicago Illinois. “Fraud and Abuse in the Insurance Industry,” presented to CNA Insurance Companies, September 2009, New York, New York. “Hurricane Katrina and the Failure of the New Orleans Levee System,” FDCC 2006 Winter Meeting, Las Vegas, Nevada. “Last Chance Seminar for Design Professionals,” presented for Victor O’Schinnerer, CNA Insurance Companies, continuing education program, December 2003, New Orleans, Louisiana. “Managing Complex Construction Law Issues,” presented for the NBI continuing education program, January 2007, New Orleans, Louisiana. “Negotiations for Attorneys,” presented to CNA Insurance Companies, June 2009, Brea, California. “Louisiana’s New Anti-Indemnity Act”, Bayou Industrial Alliance – Associated Builders & Contractors, New Orleans/Bayou Chapter; February 2011 New Orleans, Louisiana.